In 1994, in Brandon, Mississippi, a jury asked the court to give Bobby Wilcher, accused of double homicide, the death penalty. Lindy Lou was one of these jurors, and twenty-two years later she is haunted by an overwhelming burden of guilt for playing a role in this man's death. Although she entered the courtroom as a strong proponent of capital punishment, something changed for her during the trial. Under pressure, unable to stand her ground against eleven other jurors, she eventually agreed to the death penalty. 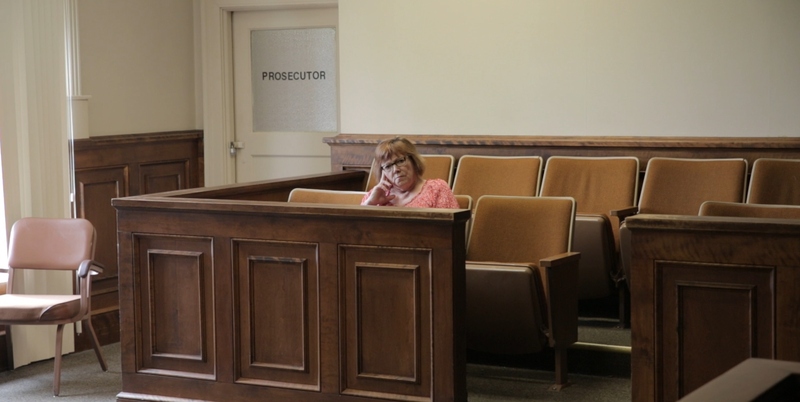 Today, Lindy is looking for closure and decides to reconnect with the other jurors to find out how this experience impacted them. As it turns out, everyone has a very different memory of the past. Florent Vassault is a documentary filmmaker born in France. After several short fiction films and a mockumentary (Bernard Thomas, les secrets de la gloire, 2007), he co-directed the award-winning documentary, Honk! (2011), with sociologist Arnaud Gaillard. It is a take on the death penalty in the United States. In 2017 he continued to pursue the impacts of capital punishment in Lindy Lou, Juror Number 2.